2018 was the year that Facebook had to face reality. In March of 2018, news broke that the social-media giant had let a massive trove of user information find its way into the hands of the shady data firm Cambridge Analytica, which used it to divide and mislead U.S. voters and spread hatred and propaganda. In November, a New York Times investigation revealed that Facebook executives had orchestrated a multi-year effort to cover up and deny evidence of similar abuses of their platform and enabled an anti-Semitic smear campaign against the company’s growing list of critics. More recent investigations found the company allowed advertisers to target messages to people with an affinity for Holocaust perpetrators and neo-Nazi propaganda. There’s been a massive transfer of wealth from media that produce journalism to those that don’t. And Facebook is not the only one at fault. Google was caught last month for failing to disclose to users that its Nest home-security system contains a hidden mic that could record private conversations. Its YouTube subsidiary has long been in the crosshairs of privacy and children’s-rights advocates who have condemned it for tracking kids and targeting them with ads. Privacy, journalism and antitrust advocates have issued warnings about Silicon Valley for years. Now government officials, the media, and the broader public have awakened to Big Tech’s vast potential for abuse — and people are clamoring to do something about it. Today that something seems as inevitable as … well … taxes. Last month, Free Press published a report calling on the U.S. Congress to tax the data-harvesting industry that drives much of the Silicon Valley’s economy. The proceeds from this tax would support local-news startups, sustain investigative projects and seed civic-engagement initiatives. The proceeds from such a tax would fund the kinds of journalism that counteract the spread of misinformation across social media. There are similar efforts underway in Australia and the United Kingdom, which see a “digital services tax” as a means to support noncommercial journalism. 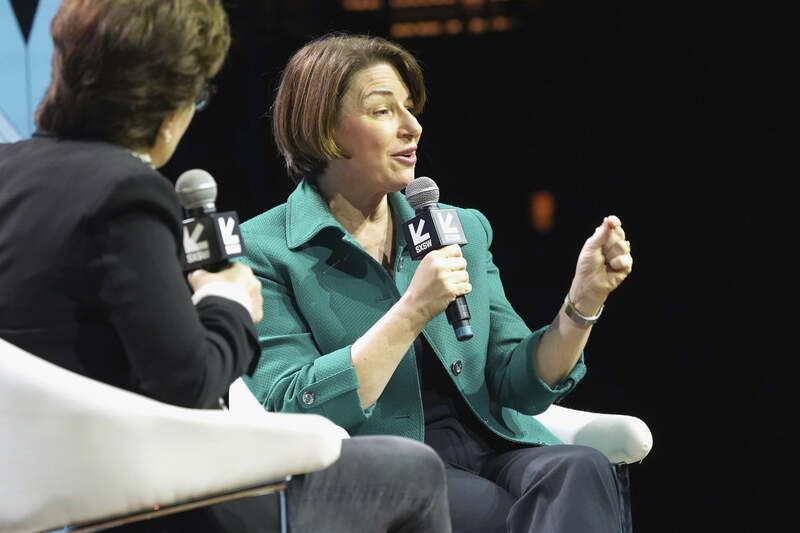 Sen. Amy Klobuchar has joined the chorus. During an interview at SXSW in Austin earlier this month, the presidential candidate floated the idea of taxing powerful tech companies that profit from the mass collection of user data. Behind much of this reckoning is the recognition that the platforms have devastated the global news economy. As social networks and search engines dominate more of the online marketplace, the independent and local journalism that people need to participate in democracy continues to disappear. Facebook and Google have gotten off easy for far too long. It’s time to make them pay. Between 2004 (the year Facebook launched) and 2016, the number of U.S. newspaper employees dropped by more than half — from 375,000 to about 173,000, according to the Bureau of Labor Statistics. During that same time period, print-advertising revenue fell from a record high to a record low. Many large metro and regional papers closed shop. According to eMarketer estimates, in 2019 U.S. advertisers will spend more on digital advertising ($129 billion) than on broadcast and print media outlets ($109 billion) — the first time this has happened. Facebook and Google dominate this online advertising marketplace. Most of the other top earners — a list that includes Amazon, Microsoft, Twitter, Snapchat, and Yelp — have nothing to do with news production. As a result, there’s been a massive transfer of wealth from media that produce journalism to those that don’t. In the vortex of this we see the world’s wealthiest companies getting rich from a system that hastens the spread of propaganda and misinformation. And it’s happening at a time when the truth-seeking journalism we most need is in crisis. Our proposed platform-tax would help right this imbalance. For example, a 2-percent ad tax on all online enterprises that earn more than $200 million in annual digital-ad revenues would yield more than $1.8 billion a year. This money would be invested in a new and independent Public Interest Media Endowment that would hand out grants to a range of news-and-information projects, including local-news startups, investigative endeavors and civic-engagement initiatives. A tax on online advertising revenues is doable and achievable through an act of Congress. 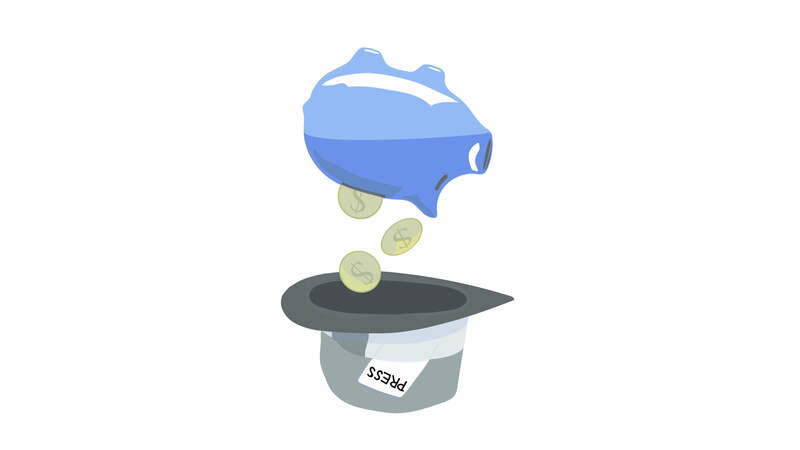 Proceeds from taxing the ad-targeting economy behind Facebook and Google would help wipe away the mess they’ve made — and support the production and distribution of high-value content that places civic engagement and truth-seeking over misinformation and propaganda. While we may not solve all of the problems surrounding platform privacy or journalism, a tax on online advertising revenues is a winnable fight and achievable through an act of Congress.